Patriotic Zealotry (2 zeal per short or long rest). The Enclave scientist is fiercely loyal to the Enclave and its cause, granting advantage on saving throws against effects that impose the Frightened condition or attempt to manipulate the Enclave scientist's thoughts and actions. In addition, the Enclave scientist has access to a pool of zeal points which they can spend to activate features. Science Outfit. The Enclave scientist's outfit provides total protection from eye and lung irritants, biological contamination, chemical contact, and radiation. They automatically succeed any saving throw to avoid becoming poisoned, catching a sickness, or acquiring a disease. However, they have disadvantage on all Dexterity-based ability checks, saving throws, and all melee and ranged attack rolls. Laser Pistol. Ranged weapon attack: +4 to hit, range 60/180 ft., one target. Hit: 10 (2d8 + 1) energy damage. Unshakable Zealotry. The Enclave scientist can spend a point of zeal when they fail a saving throw to succeed instead. Patriotic Zealotry (2 zeal per short or long rest). The Enclave trainee is fiercely loyal to the Enclave and its cause, granting advantage on saving throws against effects that impose the Frightened condition or attempt to manipulate the Enclave trainee's thoughts and actions. In addition, the Enclave trainee has access to a pool of zeal points which they can spend to activate features. Coordinated Fire. The Enclave trainee's ranged weapon attack bonus increases by +2 for each of its allies that also made a ranged weapon attack against its target since the enclave trainee's last turn, up to a maximum of +4 (twice their Proficiency bonus). Multiattack. The Enclave trainee makes two attacks. Laser Pistol. Ranged weapon attack: +4 to hit, range 60/180 ft., one target. Hit: 11 (2d8 + 2) energy damage. Purge the Unpure. The Enclave trainee can spend a point of zeal to make one attack. Unshakable Zealotry. The Enclave trainee can spend a point of zeal when they fail a saving throw to succeed instead. Patriotic Zealotry (4 zeal per short or long rest). The Enclave soldier is fiercely loyal to the Enclave and its cause, granting advantage on saving throws against effects that impose the Frightened condition or attempt to manipulate the Enclave soldier's thoughts and actions. In addition, the Enclave soldier has access to a pool of zeal points which they can spend to activate features. Coordinated Fire. The Enclave soldier's ranged weapon attack bonus increases by +2 for each of its allies that also made a ranged weapon attack against its target since the trainee's last turn, up to a maximum of +6 (twice their Proficiency bonus). Fervent Fanaticism. The Enclave officer and one other creature of their choice, who must be a member of the Enclave and able to hear them, may each choose to either regain 11 (2d8 + 2) hit points or to immediately make a saving throw against a condition or ongoing effect. The Enclave officer can spend zeal to allow one additional creature per point of zeal to benefit from Fervent Fanaticism. Multiattack. The Enclave officer makes three attacks. Laser Rifle. Ranged weapon attack: +8 to hit, range 90/210 ft., one target. Hit: 12 (2d8 + 3) energy damage. Plasma Grenade (recharge 5-6). The Enclave officer throws a grenade at a point up to 60 feet away. Each creature within 20 feet of the target point must make a DC 15 Dexterity saving throw, taking 7 (2d6) piercing damage and 28 (8d6) fire damage on a failed save, or half as much in damage if successful. Purge the Unpure. 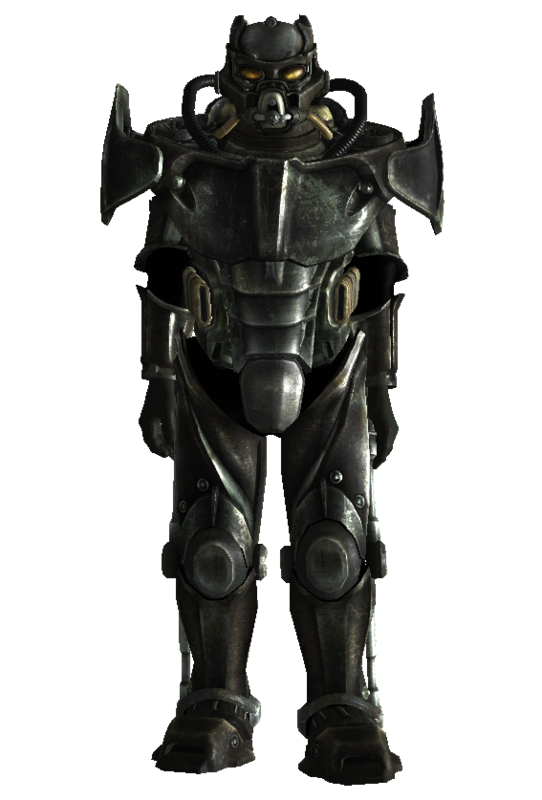 The Enclave officer can spend a point of zeal to make one attack. Unshakable Zealotry. The Enclave officerr can spend a point of zeal when they fail a saving throw to succeed instead. The Enclave is experimenting with a system that allows a single Enclave officer to hold an outpost. The outpost is outfitted with defensive turrets, and the officer in charge carries a Rho ID which is the only way in which a creature can be recognised as friendly by the turrets. In this way, the only way to safely enter the outpost is for the officer within to manually override the turrets at the gate and any internal defenses. Patriotic Zealotry (3 zeal per short or long rest). The Enclave soldier is fiercely loyal to the Enclave and its cause, granting advantage on saving throws against effects that impose the Frightened condition or attempt to manipulate the Enclave soldier's thoughts and actions. In addition, the Enclave soldier has access to a pool of zeal points which they can spend to activate features. Multiattack. The Enclave soldier makes two attacks. Laser Rifle. Ranged weapon attack: +6 to hit, range 90/210 ft., one target. Hit: 12 (2d8 + 3) energy damage. Laser Pistol. Ranged weapon attack: +6 to hit, range 60/180 ft., one target. Hit: 12 (2d8 + 3) energy damage. Ripper. Melee weapon attack: +6 to hit, reach 5 ft., one target. Hit: 10 (2d6 + 3) slashing damage. Purge the Unpure. The Enclave soldier can spend a point of zeal to make one attack. Unshakable Zealotry. The Enclave soldier can spend a point of zeal when they fail a saving throw to succeed instead. Patriotic Zealotry (4 zeal per short or long rest). The Enclave veteran is fiercely loyal to the Enclave and its cause, granting advantage on saving throws against effects that impose the Frightened condition or attempt to manipulate the Enclave veteran's thoughts and actions. In addition, the Enclave veteran has access to a pool of zeal points which they can spend to activate features. Coordinated Fire. The Enclave veteran's ranged weapon attack bonus increases by +2 for each of its allies that also made a ranged weapon attack against its target since the trainee's last turn, up to a maximum of +6 (twice their Proficiency bonus). Multiattack. The Enclave veteran makes three attacks. Laser Rifle. Ranged weapon attack: +7 to hit, range 90/210 ft., one target. Hit: 12 (2d8 + 3) energy damage. Laser Pistol. Ranged weapon attack: +7 to hit, range 60/180 ft., one target. Hit: 12 (2d8 + 3) energy damage. Ripper. Melee weapon attack: +7 to hit, reach 5 ft., one target. Hit: 10 (2d6 + 3) slashing damage. Purge the Unpure. The Enclave veteran can spend a point of zeal to make one attack. Unshakable Zealotry. The Enclave veteran can spend a point of zeal when they fail a saving throw to succeed instead. Patriotic Zealotry (6 zeal per short or long rest). The Secret Service agent is fiercely loyal to the Enclave and its cause, granting advantage on saving throws against effects that impose the Frightened condition or attempt to manipulate the Secret Service agent's thoughts and actions. In addition, the Secret Service agent has access to a pool of zeal points which they can spend to activate features. No Witnesses. Once per turn when the Secret Service agent hits a creature with its attack, it can spend a point of zeal to deal an additional 14 (4d6) damage. Multiattack. The Secret Service agent makes four attacks. Gauss Rifle. Ranged weapon attack: +9 to hit, range 90/270 ft., one target. Hit: 17 (4d6 + 3) piercing damage. Minigun. The Secret Service agent can pepper a 10-foot cube area within 240 feet with shots. Each creature in the targeted area must succeed on a DC 15 Dexterity saving throw (with advantage if they are more than 80 feet from the Secret Service agent) or take 23 (8d4 + 3) piercing damage. Pulse Pistol. Ranged weapon attack: +9 to hit, range 40/120 ft., one target. Hit: 13 (4d4 + 3) electrical damage. Ripper. Melee weapon attack: +9 to hit, reach 5 ft., one target. Hit: 10 (2d6 + 3) slashing damage. Purge the Unpure. The Secret Service agent can spend a point of zeal to make one attack. Unshakable Zealotry. The Secret Service agent can spend a point of zeal when they fail a saving throw to succeed instead. Patriotic Zealotry (6 zeal per short or long rest). The Secret Service special agent is fiercely loyal to the Enclave and its cause, granting advantage on saving throws against effects that impose the Frightened condition or attempt to manipulate the Secret Service special agent's thoughts and actions. In addition, the Secret Service special agent has access to a pool of zeal points which they can spend to activate features. No Witnesses. Once per turn when the Secret Service special agent hits a creature with its attack, it can spend a point of zeal to deal an additional 21 (6d6) damage. Multiattack. The Secret Service agent makes five attacks. Gauss Rifle. Ranged weapon attack: +11 to hit, range 90/270 ft., one target. Hit: 17 (4d6 + 3) piercing damage. Pulse Pistol. Ranged weapon attack: +11 to hit, range 40/120 ft., one target. Hit: 13 (4d4 + 3) electrical damage. Ripper. Melee weapon attack: +11 to hit, reach 5 ft., one target. Hit: 10 (2d6 + 3) slashing damage. Flame Troopers are a common variant equipped with a flamer. Make the following change to either the Enclave Soldier or Enclave Veteran. Flamer. The flamer expels a 45-foot long and 5-foot wide line of fire. All creatures within the line must make a DC 12 Dexterity saving throw, taking 5 (2d4) fire damage on a failed saving throw or half that if successful. On a failed saving throw the target is also set alight, taking 2 (1d4) fire damage at the beginning of each of its turns. A creature can end this ongoing damage by using its action to make a DC 10 Dexterity saving throw to extinguish the flames. Pulse Troopers are a variant equipped with a pulse rifle. Make the following change to the Enclave Soldier. Pulse Rifle. Ranged weapon attack: +6 to hit, range 50/150 ft., one target. Hit: 15 (5d4 + 3) energy damage. Make the following change to the Enclave Veteran. Pulse Rifle. Ranged weapon attack: +7 to hit, range 50/150 ft., one target. Hit: 15 (5d4 + 3) energy damage. Tesla Soldiers are veterans entrusted with advanced equipment: their Tesla armour protects them from energy weapons fire and recharges the fusion cells used by their weaponry, typically a pulse rifle or modified plasma rifle. Make the following changes to the Enclave Veteran. Tesla Redistribution System. The Enclave Tesla soldier's power armour has resistance to electrical and energy damage. Hellfire Troopers are highly decorated elites entrusted with powerful Hellfire armour, incinerators, and plasma pistols. Hellfire Shielding. The Hellfire trooper's power armour has immunity to fire damage. Incinerator. Ranged weapon attack: +7 to hit, range 90/270 ft., one target. Hit: 21 (4d8 + 3) fire damage and the target is set alight, taking 2 (1d4) fire damage at the beginning of each of its turns. A creature can end this ongoing damage by using its action to make a DC 10 Dexterity saving throw to extinguish the flames. Additionally, all creatures adjacent to the target must make a a DC 12 Dexterity saving throw. On a failed save they take 9 (2d8) fire damage. Plasma Pistol. Ranged weapon attack: +7 to hit, range 70/210 ft., one target. Hit: 13 (3d6 + 3) fire damage. An Enclave Control Company is a fire team of four highly trained elites tasked with perimeter defense of high value assets. A Control Company includes a sergeant equipped with a pulse rifle, a rifleman equipped with a plasma rifle, a sharpshooter equipped with a gauss pistol, and fire support equipped with a gatling laser. For each member of the company, make the following changes. Boosted Plasma Rifle. Ranged weapon attack: +7 to hit, range 100/300 ft., one target. Hit: 16 (3d8 + 3) fire damage. Boosted Gatling Laser. The Control Company fire support trooper can pepper a 10-foot cube area within 240 feet with shots. Each creature in the targeted area must succeed on a DC 15 Dexterity saving throw (with advantage if they are more than 80 feet from the veteran) or take 24 (6d6 + 3) energy damage. Scoped Comfort Gripped Gauss Pistol. Ranged weapon attack: +9 to hit, range 90/270 ft., one target. Hit: 13 (4d4 + 3) piercing damage. A Sigma Squad is a deadly task force capable of acting as a strike team or guarding important assets alike, depending on operational need. of seven elite specialists. Each member of the Squad has a different loadout, and their ranking officer is equipped with hellfire armour and an incinerator. For each member of the company, make one of the following changes to the Enclave Veteran. Hellfire Shielding. The Squad Sigma leader's power armour has immunity to fire damage. Incinerator. Ranged weapon attack: +9 to hit, range 90/270 ft., one target. Hit: 21 (4d8 + 3) fire damage and the target is set alight, taking 2 (1d4) fire damage at the beginning of each of its turns. A creature can end this ongoing damage by using its action to make a DC 10 Dexterity saving throw to extinguish the flames. Additionally, all creatures adjacent to the target must make a a DC 12 Dexterity saving throw. On a failed save they take 9 (2d8) fire damage. Plasma Pistol. Ranged weapon attack: +9 to hit, range 70/210 ft., one target. Hit: 13 (3d6 + 3) fire damage. Plasma Grenade (recharge 5-6). The Squad Sigma leader throws a grenade at a point up to 60 feet away. Each creature within 20 feet of the target point must make a DC 15 Dexterity saving throw, taking 7 (2d6) piercing damage and 28 (8d6) fire damage on a failed save, or half as much in damage if successful. Plasma Mine (2/long rest). The Squad Sigma leader places the mine in a location of their choosing. The trigger distance of the mine is determined at the time of its construction, and be any interval of 5 feet from 0 feet (a pressure-based mine) up to the maximum radius of the grenade the mine is based on. When a small or larger creature or object enters into the radius of the mine’s trigger distance the mine explodes. The radius, damage, and saving throw DC of a mine is equal to that of the grenade upon which it is based. The DC to spot a mine depends on how well it has been concealed. Beam-Focused Boosted Laser Rifle. Ranged weapon attack: +9 to hit, range 110/290 ft., one target. Hit: 14 (2d10 + 3) fire damage. Boosted Plasma Rifle. Ranged weapon attack: +9 to hit, range 100/300 ft., one target. Hit: 16 (3d8 + 3) fire damage. Minigun. The Squad Sigma minigunner can pepper a 10-foot cube area within 240 feet with shots. Each creature in the targeted area must succeed on a DC 15 Dexterity saving throw (with advantage if they are more than 80 feet from the Squad Sigma minigunner) or take 23 (8d4 + 3) piercing damage. Boosted Gatling Laser. The Squad Sigma laser gatling gunner can pepper a 10-foot cube area within 240 feet with shots. Each creature in the targeted area must succeed on a DC 15 Dexterity saving throw (with advantage if they are more than 80 feet from the Squad Sigma laser gatling gunner) or take 24 (6d6 + 3) energy damage. Scoped Comfort Gripped Gauss Pistol. Ranged weapon attack: +11 to hit, range 90/270 ft., one target. Hit: 13 (4d4 + 3) piercing damage.